I am somewhat obsessive compulsive about flags. And while some might consider this obsessive compulsion a negative aspect of my personality, there is no doubt that my obsession over flags came in handy very recently. While interning at the Francisco Viñas Competition in Barcelona, I went to the audition stage to help make sure that everything was in order for the auditions that afternoon. I must admit, the place was a flag aficionado’s heaven – the stage was crammed full of the flags of all the countries from where the singers came. While testing my flag knowledge by mentally listing the country of each flag, I stumbled across a surprise: the flag of North Korea. My excitement when I first thought that I would be working and interacting with 50+ North Korean opera singers was unparalleled. North Korea, one of the most barrier-ridden places in the world for a U.S. citizen, was apparently training an entire fleet of opera singers to bring shame upon the western world – and I would be witnessing it firsthand. When I started asking my colleague whether or not I should mention that I am from the United States or whether that was just too problematic, the mix-up was revealed: Barcelona City Hall had sent us the wrong flag. Due to my flag expertise, the mix-up was quickly averted. Naturally, I like to think myself as the hero of the day. I remember the first time I ever learned the flag of another country – or for that matter, the first time I ever heard of Japan. My parents were watching a television show. While I was walking across the room, I saw a man hold up a white piece of paper with a red dot on it. In the midst of canned studio laughter he exclaimed, “It’s the flag of Japan!” I was very young and did not know what a flag was or what Japan was, but it was very nice to know that I could make one for myself with a red marker, if I wanted to. Throughout elementary school, I quickly learned more about flags – and more about Japan: ninjas, feudalism, emperors, geishas (I knew they existed – but my mother refused to tell me what they were), kimonos, World War II, kamikaze, atomic bombs, Nagasaki, Hiroshima, cherry blossom trees, Pokemon, anime, sushi, tea, and (let us not forget) the most important: Madame Butterfly, the heroine of Giacomo Puccini’s opera of the same name. Needless to say, I did not know where to begin when it came to choosing a book about the country. I thus reached out to a professor whose specialization is in Japanese religious traditions, and who collaborated with me on a musical project. 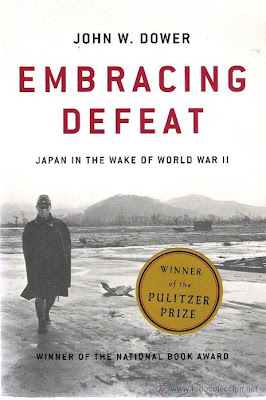 He suggested John W. Dower’s Embracing Defeat: Japan in the Wake of World War II – the winner of the Pulitzer Prize, the National Book Award, and the Bancroft Prize. I read this book during a very appropriate time in the midst of my studies in Berlin, as I was studying post-war Germany and the Trümmerliteratur, or the “rubble literature” movement. One work that truly spoke to me was Draußen vor der Tür, a powerful play by Wolfgang Borchert. It tells the story of a soldier, who was a prisoner of war in Siberia, coming home to Germany to discover that he has no home, or rather that has been shut “outside of the door” (a direct translation of the title.) In the midst of his three year absence: his wife has found someone else, his parents have died, and he cannot find a job. Plagued with guilt over what happened with the small brigade in which he was in charge, he visits his former military superior and finds him eating well and heartily with his family, having moved on successfully with his life with no feelings of remorse. Finding that he has no place in Germany, the soldier commits suicide. I cannot hope to summarize this 560-page book in only one blog post, and thus, I encourage anyone with an interest in reconstruction, the creation of democratic structures, the effect of war on a society, the change and westernization of a culture, U.S. military history, or Japan to read this book – it is truly excellent. In the meantime, after reviewing the notes I wrote in the margins, I realize that I continued to find myself fascinated by two concepts: 1.) the role of the Japanese emperor; and 2.) the difficulties of administering justice to the victims of imperial Japan. The author also delves into the difficulties associated with bringing the Japanese to justice. 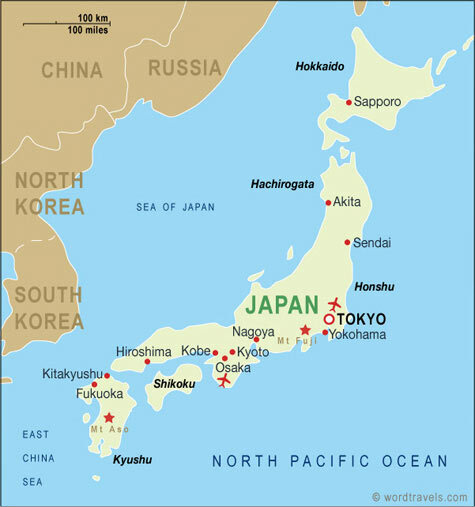 Comparing the Tokyo Tribunal, which started on May 3, 1946 and continued for nearly three years, with the German Nuremberg trials, I immediately began to draw connections between the book and my personal experience in Germany through my studies. One of the challenges which I found the most interesting was that of language: “Four languages – English, German, French, and Russian – were employed simultaneously in the Nuremberg trial. In Tokyo, while the basic languages of the tribunal were English and Japanese, at least six other languages had to be accommodated. Communication was exceedingly complicated – ‘beyond comparison to the German case…’” (page 458) The control of Imperial Japan at its height included the regions of modern-day North and South Korea, Taiwan, many areas of mainland China, Thailand, Burma, the Philippines, Vietnam, Laos, Cambodia, Malaysia, and Indonesia. Thus, the linguistic and cultural diversity of the victims of Japanese war crimes would be difficult to account for. Likewise, the western world had a different mentality regarding Asia: “Colonialism, and imperialism more generally, defined the twentieth century Asian world in which Japan was accused of having conspired to wage aggressive war.” (page 470) The author even noted that four of the powers who were determining justice – Britain, France, the Netherlands, and the U.S. – had previously held territories alongside Japan prior to the war.